For more than 20 years Troy Barbell has been the industry leader in quality and innovation. More than just a free-weight manufacturer, Troy Barbell is a full-service solution. the premium institutional & commercial grade free-weight product. USA- Dedicated to providing best-in class products for the home fitness enthusiast. Whether you’re looking to outfit a gym, apartment, school or home, Troy delivers stylish durability and value with three distinct product lines each uniquely engineered for your specific application. Our Troy Aerobic Bar Club Pack delivers 32 bars in our most popular sizes and an attractive display/storage rack, all in one package. 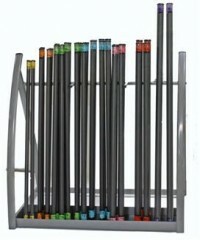 Each bar has a color coded cap indicating its weight, and all bars are covered in commercial quality high density foam. Great for schools and group exercise classes. Each set contains a display rack and the following bars: 2 x 4lb., 4 x 6 lb., 8 x 9 lb., 8 x 12 lb., 4 x 15 lb., 4 x 18 lb., 2 x 22 lb. 1 year warranty against breakage. Our leather ankle strap is uniquely constructed including a sheepskin lining that absorbs shock and gives cushioning, support and stability. Used for toning and strengthening of the hip and thigh muscles. 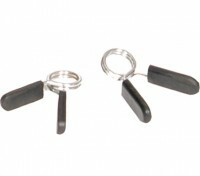 Heavy D-ring design to attach to any cable system. USA's Multi-Exercise Deluxe Bar with a single-forged swivel is designed for seated rows, triceps press-down work and biceps curls. 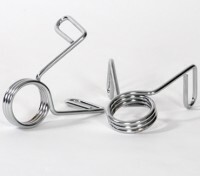 It attaches to any cable system and includes heavy duty end caps for extra protection. 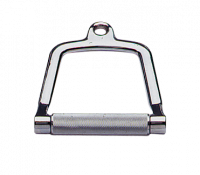 For the person who wants to maximize their workouts, the USA Double Stirrup Handle has a close grip to facilitate back and shoulder development. Our specially-designed, tapered handles allow for better grip and feel. 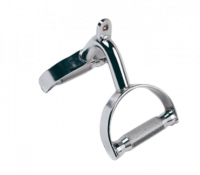 This stirrup handle of perfectly knurled solid steel allows smooth, controlled movements throughout the full range of motion. 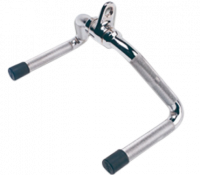 Constructed with a long-life permanent bushing to minimize wear, it is made of rugged steel with a polished chrome finish. The extra heavy duty welded flange can handle the heaviest of loads. 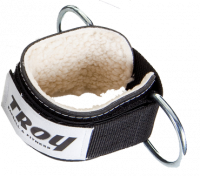 Olympic chrome EZ-on Collars with Rubber Grips can securely hold Troy light workout grip plates on all 1” bars. 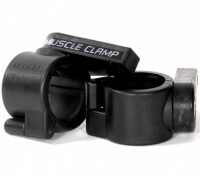 Made from hard plastic, our quality Collar clamps on to all 2” bars with ease to hold plates on bars. Olympic chrome EZ-on Collars securely hold Olympic plates on all 2” bars. 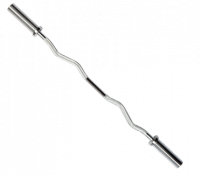 Affordable quality, this 47 Olympic curl bar is designed to increase upper arm mass, strength and definition through the isolation of the biceps and forearm muscles. The VTX Medicine Ball Display Pack is a complete set of six medicine balls and an attractive display/storage rack, all in one package. Made of thick durable rubber for bounce-back, each ball is re-inflatable and has a textured surface for a solid grip. 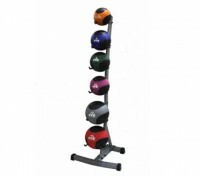 Each set contains a display rack and one each of the following size medicine ball: 4 lb., 6 lb., 8 lb., 10 lb., 12 lb., and 15 lb. 1 year warranty against breakage.